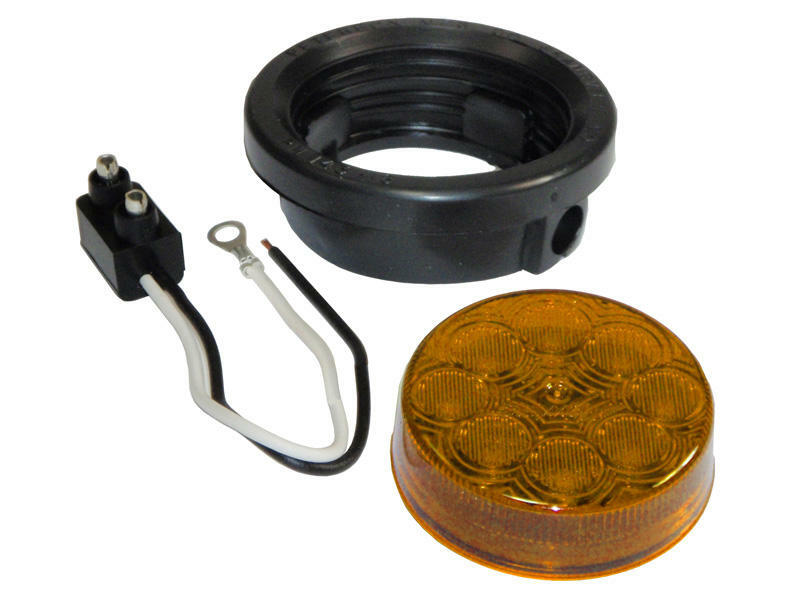 Grommet mounted LED side marker light kit includes light assembly, grommet and 2-wire plug with pigtail. Light contains 8 LEDs. Maxxima is one of the leading manufacturers and suppliers of LED lighting in the commercial vehicle industry, consumer and industrial markets. With our own staff of engineers and our exclusive manufacturing facilities, Maxxima has been at the forefront of innovative and revolutionary lighting products. From Stop, Tail & Turn (STT), Emergency, Interior Cargo, Clearance and Side Marker LED Lamps, add on accessories, to off road lighting, to a complete wire harness system for trucks, buses, trailers, medium and heavy duty trucks, Maxxima offers the most comprehensive range of lighting products for a wide variety of applications. LED lighting continues to revolutionize the lighting environment right in front of our eyes since they emit a very intense glow which is brighter than incandescent. They consume 10% of the energy required for incandescent, they are more resistant to shock, vibration and last a phenomenal 100,000 hours, or about a decade of regular use. Maxxima continues to introduce new and exciting products, many of which have been granted worldwide patent protection for their unique designs and functions which are exclusively available from Maxxima. With almost 30 years of manufacturing expertise, warranty policy and reputation, we've created the most dependable product line on the market today.